If you’ve discovered termites in your home in Santa Ana, California, then you’re probably preparing for a major disruption to your daily routine. After all, most homeowners believe that fumigation is the only solution to a termite infestation. In fact, this is still the method used by most companies, and, though it is effective, it is also extremely inconvenient as it forces homeowners to find alternative accommodations for days at a time. Rather than fill your entire home with toxic fumes, Kilter uses a more targeted method. This system – called KILGUARD – allows you to remain home throughout the treatment process, saving you money and minimizing disruptions to your home life. Most importantly, it completely eliminates both drywood and subterranean termites and prevents them from returning to your home. We even back this claim with a two-year warranty. Providing an effective alternative to fumigation is only one of the ways that we set ourselves apart from other termite control companies. We also offer free, no-obligation inspections, so you can get an honest and accurate assessment of your home. And, if you require any repair services, we can help with that as well, sparing you the hassle of finding another contractor. 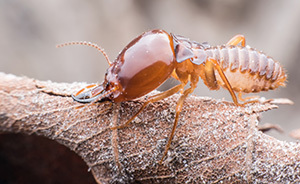 Contact Kilter Termite and Pest Control today to learn more about the advantages of our system over fumigation and to schedule a free termite inspection at your home in Santa Ana, CA.